TradingView Pro is one of the fastest growing trading platforms attracting Crypto-Currency & Traditional Market investors and traders alike. 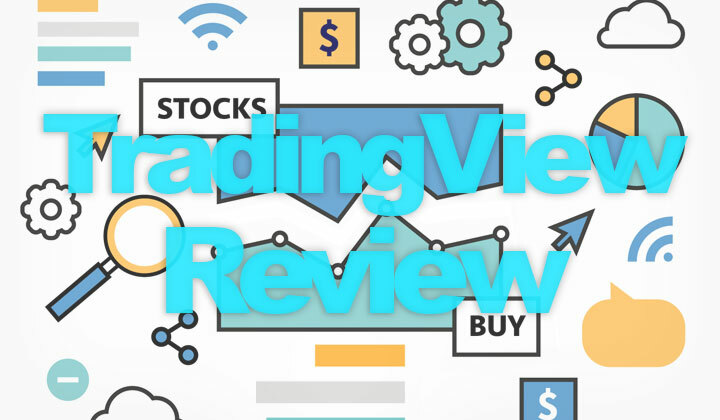 Read this review for an insight look into the advantages of TradingView.com in 2019 — enjoy. And did you know? Get 30-day TradingView Pro free under this link. Tradingview was first launched in 2011 and it’s a free to use platform with paid pro, pro+ or premium upgrades for extra accessibility. It has an aggregated coverage of data from many different providers, it lists almost every crypto asset (including Bitcoin) and even fundamental financial data from Quandl. It has many advantages over other trading platforms, with the community being the unique focal point, apart from it being a great charting platform, it’s also a great place to meet and learn from other traders (demo chart features here). Next let’s discuss these advantages in this review. TradingView Pro has a clean and professional graphical interface which is quite refreshing as most trading platforms have a harder to use interface. When trading, you need a clean and intuitive design since you need to spend your time thinking strategy instead of clicking through drop down boxes. The charts are of much higher quality than everything else I’ve seen, everything, including lines and bars look smooth and beautiful. You’re able to modify the visual aspect of the charts and indicators straight from the settings, without needing to modify any piece of code. TradingView Pro employs every drawing tool the usual trader would ever use such as basic lines, channels, Fibonacci levels, etc. There are also quite a few advanced drawing tools to satisfy the professionals such as Gann box, Gann fan and Fibonacci speed levels, Fibonacci spirals and much more. On the social side of the platform, it has advanced chat features, there are public chat rooms for different markets and trading methodologies which people can discuss their ideas with other like-minded traders. It is also possible to create private chat rooms and of course, private messages. This is all seamlessly implemented within the platform. Tradingview also has a sharing feature which allows you to share your charts with other traders and get feedback. This is a great feature, as you can get feel of the market sentiment and get better at trading by learning from other professional traders (find a full list of pro features here). As you can tell by now, Tradingview’s platform is very good with people, It has a clean and intuitive design, has chatting features which allows you to discuss ideas with like minded people, and allows you to share your charts, ideas and even indicators and strategies. This is a great advantage over other platforms as there is a lot of value which is being put out by the community, be it in trading ideas or Pinescript indicators. There is also a mobile version only available on the Apple store. Everyone has a unique perspective on the markets so learning from other people’s point of view is a great learning experience. Sharing your perspective with others is just as valuable as you will likely receive feedback and form relationships with other like-minded traders, and in turn incentivize others to share their ideas more often. Click here to sign up for a pro account and find out more. What’s your take on TradingView Pro, charts, decisionbar in 2019? Your comment, short-review is welcome in the field below.